One of my reoccurring projects for Harley-Davidson is creating the artwork for their owners manuals. 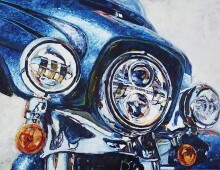 This piece is the original painting used on the 2013 FXSBSE owners manual. Painted on climate stable wood, each work of art is museum quality and tough as nails. Hintz uses heavy-body acrylic paint formulated with 100% acrylic resin binder, resulting in an exceptionally durable paint. 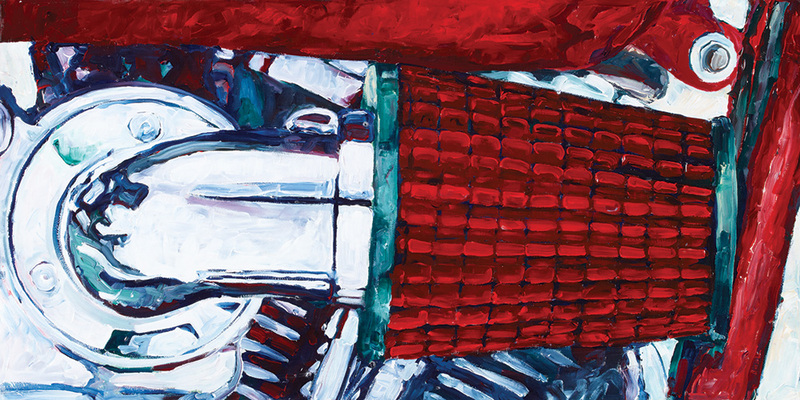 Every completed painting is finished and sealed with 7 layers of a varnish to form a degree of depth that further enriches the paint’s surface. 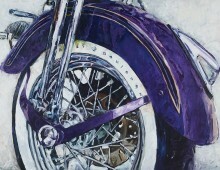 Made to withstand the happenings of a biker bar, or your living room, you will want to pass this painting down to the grandkids.